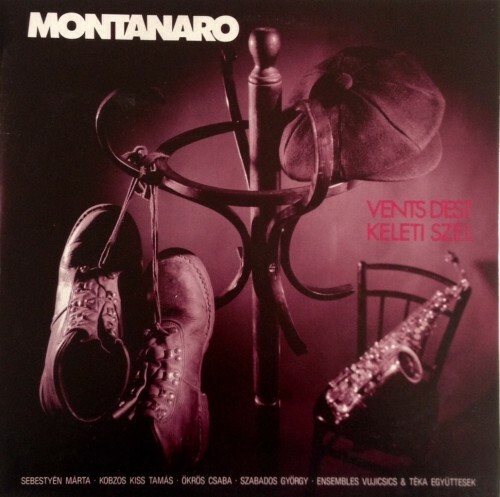 LP with Miquéu Montanaro – playing his program “Vent’s Est” where Jazz and folk musicians play together. Various artists play with him live in Budapest. The Phoenix, mysterios bird of all cultures, first burns and dies to ashes, it sacrifies itself, so that in this racking fire it can be reborn from ist own will in the form of heavently embers, evber more splendit. Sacred bird, the non-existend bird of eternity, bird that never was, yet the most real and most beautiful: a phenomenon of the imagination and the heart, it represents the dominiom of Life’s mystery cover the pettiness of Fate. It is a symbol, the dazzling symbol of rebirth and the earthly and heavenly pleasure of eternity. That accepts this curios, sacrificial role with wisdom: it is not afraid, it does not break, it does not revolt. It is an initiate. It is this bird that flutters in every moment of every deed, that roots in every autumn and every sunset, and it is this bird that hovers over the suffiocatting smoke of indignities – one that is not a murderer among nest-builders. Stir, sacred bird, be resurrected in the fire of our sooty love, sing out through our burnt vocal cords, dance in the faithful tunnels of our fire-brand bones. Let you blessed death-trance shine. Be gentle to all those speaking beautifully to you in this sea of muck. Beautifully, to the bird of Heaven. Our land is the Puszta, the dry seabed, the plains of sand exposed to the sky. In the holy dawn, a mysterious flock of gods suddenly emerge over fields among the poplars and plume their feathers while the glaring sun traces its heavenly course, gilding the leafy corners of silence. To see, call and touch this secret Eden, the soul had to be faithful and discrete, the heart naturally open, and the notes had to be freely but perfectly controlled. While entirely improvised, the music has its roots in the vast sandy expanse of eastren Hungary, blends national with Europian music and reflects the history of our half of the continent. It comes from a love of the Puszta and a steady heart. Sand Music is dedicated to the spirit of the Puszta. Mingled in it are identity and play, fate and memory, a reverie close to heaven and earth. A reeaching into ourselves and out for the timeless Universe. Poetry, moments of magic, Zen. Blissful music dedicated to the great Kindred Spirits. Credit to the musicians who made it. There is silence these days around genuine great music. Deepest silence. It is increasingly rare to get a chance to listen to live, creative, real music. You must be initiated, a member of a secret association to know the imprints of the small number of hidden musical pieces which are difficult to find. The flute players were compelled to withdraw to dense reedy marshes. The aggressive bagman lords the site. The existence of three real musicians who have been long playing together is a joy by itself. They speak for the lonely: at times when duos lean towards one another, you can very seldom enjoy the natural harmony trios can create. which balances the waves of music. Sounding almost as a large orchestra, the smooth harmony they create surprises one as if listening to miracle. The musical-ideological soil calling itself musical world today, with its institutional system will continue to neglect, by-pass for some more time to come such new music, which indeed growth from seed. A dying civilisation preserving the status-quo has been Ming to extend its existence, by attaching itself to illusions. The supported frame has been empty for quite some while. It contains nothing the heart would like to hear. But elsewhere there is something. Signs of a more complete world spark from under the hills of ashes. A never heard complexity. 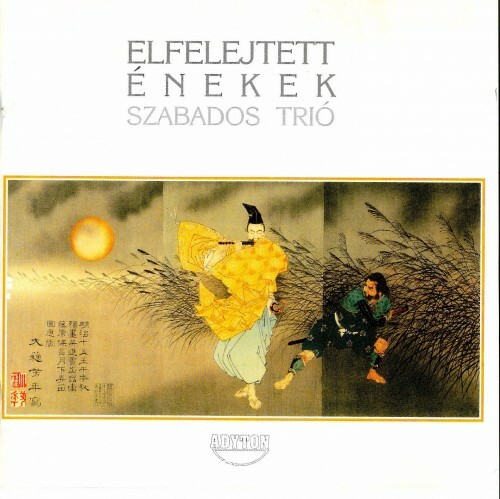 a music of extremely varied shades and rhythms arise from the music of the trio and from most of similar compositions — as if it was the pulsation of magma. Approaching it from the side of form one notes first the pulsation. then the taste and depth, fierce dynamism of the sound are noticed. The space of music, the quality of existence regain their shaping-retaining force. The new quality of solos and harmonies the free community, released from the old shackles suggest the emergence of some other world. Musicians able to hear in an accelerated age preparing for its end have stopped to listen inwardly with the archaic rythm of their newly emerging capacity to improvise, helping — similarly to singing birds — the birth of a new world embalmed yet kt tong forgotten songs the musicians surmise. No matter how complex the purity. organic articulation of the initiating music “Forgotten Songs”, its internal momentum radiates simpleness and wealth, which could not be there without thousands of years of rich cultural traditions. I wrote Time-Music in the fall of 1980, making some minor changes on it in 81 and 85. The music known today as repetitive, confronted repetition, with repeating elementary figures. The occurance of rep­etition – as opposed to what others composers did – here is not merely a mechanic monotone, instead I approach it in its entirety. A continuous sound is, in actuality, repetition, other rhytms can exist beyond the fixed and double ones. That’s why the rubato appears in this piece, at times stair-like, as well as the live dynamic progression repeating itself – ad absurdum. And it repeats (in form) because the alter­nating line of tighter and looser parts, at times the tightness, other times, the looseness giving the most extreme momentum towards experience. Like the drama of the world. At the time I felt that the situa­tion was totally hopeless, in the world, in Hungary and my own as well. Strenght and unity, spirit and movement, life and collapse, the failure of the cul­tures, or survival – I was deeply involved in these questions. I remember realizing again that rythmis the foundation of life and music,and its true all the way from the atom to dance. Rythm like the world pulse, live network, the woven energy we are all tied into. I admit that there isn’t a lot of pleasure reaped from this music, but it isn’t without strength. Which, after all is important. They chose to complete their individual activities by intensive team work in this ensemble. During its fair­ly short existence, the orchestra has already given sussesful concerts. They have also been inveted to several European countries, such as Switzerland and Finland. The repertoire of the ensamble ranges from Baroque to contemporary music. 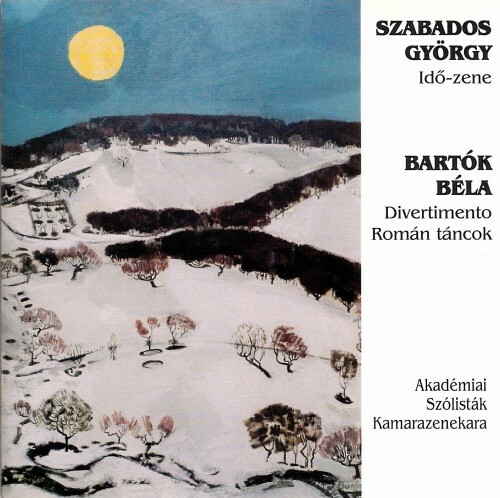 “The Divertimento was Bartók’s last composition in Europe, before his emigration. During the composi­tion of the work for string orchestra, the composer constantly had the model of the Baroque concerto in mind. The final concept did retain several features of the original genre. The two fast movements enclose a slow one, and within them ripieno of the entire string orchestra, alternately plays with the concerti­no of a string quintet. The relationship of the themes of the first and third movements, is another indica­tion of the Baroque concerto. The characteristic note repetitions of the two extreme movements are also heard in the third, in dotted rhythm. In the fall of 1994, Roscoe Mitchell heard MAKUZ and sent the message that our music had made an impression on him and he would be happy to accept an invitation to play with us. In 1996 this became an actuality, even after being unable to fulfill a contract in 1995, because of a lack of funding. 1996 was the year Hungary celebrated its millecentenarium. Being the Pilis avantgarde that I am, I have thought a lot about how this would sound in my memoirs … Robert Maloschik called one day unexpectedly from the Hungarian Radio: Mihály Dresch had re­commended that he call me to ask whether I would be interested in doing a concert togeth­er with Roscoe during the fall festival? I said yes immediately. Could the millecentenarium be more appropriately celebrated than with such musicians and music, this fateful meeting of musics, all being from “there”, the talked about ancient sea of music, from the same mould of sound? This ancient – new open world which is so sensitive and so sublime, that the silence is just as impossible to disturb as the music and the musicians’ personalities which surround it forever. So “making music is …. realizing that the students are quiet and crying out, like the rocks”. Is there anyone left who still listens to what the rocks cry eternally from deep within the magma? “Motív” (the first piece) is two and a half decades worth of music and then specially for this double pur­pose event, I was able to write “Jelenés” (Revelation) wondering: What will this musi­cian from afar think, if he meets the unans­werable fears of our fates? The archaic text for “Jelenés”, I found in Sándor Sík‘s drama “István király”. Following my first intuition, I put the final verse at the end of the piece, then I com­posed an appropriately archaic sounding melody for it. The theme and the finished piece didn’t surprise Makuz’s extraordinary musicians, as this may as well be their musical native tongue. And then with Roscoe’s stirring “chanted” solo; like a cry straight from upward looking middle ages, as if right now he were “howling” from there, and alive in that time; about things we no longer have in our memo­ries. The concert was on October 7th,1996 in Budapest’s Thália Theatre. The concert was a fantastically successful, extraordinary event, an almost holy atmosphere was created. 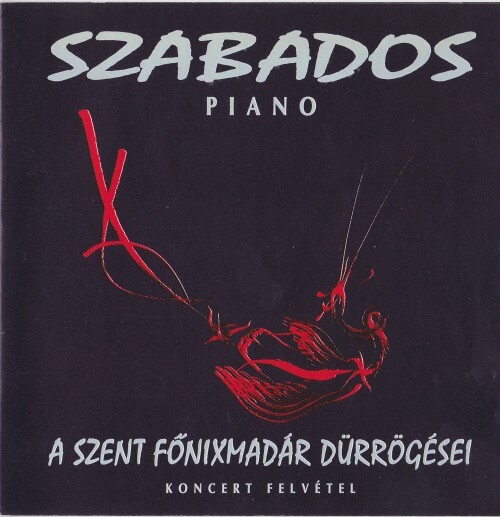 Thanks to the skilled work of Fonó Music Hall, this recording can be released. So you see, this recording is Makuz’s (the school of Makuz) creative presence, and born of the musicality of a distressed world. mystery of the freedom of existence beyond self and history. We are walking over these secret embers sending their heat through everything. We are being measured while we create a history for ourselves. In freedom we again embrace to ourselves Heaven, from where we have rambled away far and wide. And we do know, as everyone knows, aware or unaware, whether in the time offered to us we have held up the existential world by our sacrifice, or have proved unworthy for it. – about the condition of the Soul. The revolution and freedom fight of 1956 has hardly inspired any componist yet to my knowledge. The Secret History of the Events was born in 1983, in my improvisatory style, on the basis of my own text. In the era of communism, when saying the truth, when respect for the human soul became all but impossible, and a cult of trash and violence was maintained by the state, this music attempted, through the expressive declamation of an enigmatic text, to tell the story of the trampling down of freedom in 1956. In a 20th century incarnation of the minstrel songs of the Renaissance, it was an act of defiance, telling, against all prohibitions, that honour was being kept alive. This is the task of the sound of the piano, “prepared”, manipulated, “banned”, and of the similarly “prepared libretto, a meta-language: to tell a story that could not be openly told, accompanied by the heart-tones of wood wind instruments resounding through time and space. The composition has been performed only three times, in 1984, 1986 and 1996. Under the effect of the historical turning point of 1990, Ire-translated the last two stanzas of the libretto from meta-language into actual speech. All the other musical solutions, and the improvisatory style, true to the Kafkaesque ambiguity of our age, have been left untouched. 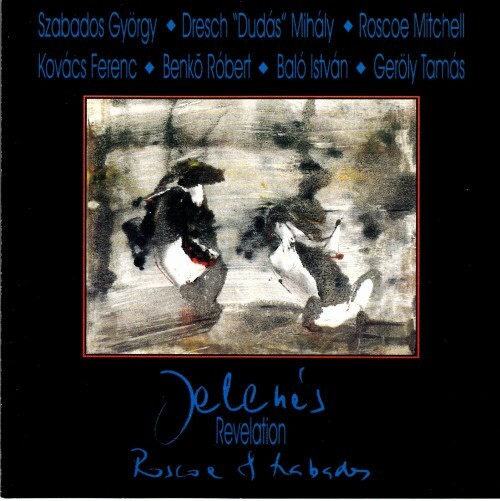 The 1996 performance we hear on this disc is marked by the unique incantatory art of Tams Kobzos Kiss, and the richly emotional, confessional style of instrumentalists like Mihäly Dudäs Dresch and Zsolt Vaskö. The Sons Turned Into Stags, a composition in four movements, is an interior story. The dramatic conflict of mother and son, of community and person, of the abandoned paradise and human isolation, and their resolution. Because, from the beginning, the idyll – Heaven – the memory of the pre-natal, drives us, and sends us its promises. This is what gives meaning, what gives us the force to live through our fate of freedom, leading us through the mush and mass of of imperfection. This composition was commissioned by Ivän Markö for the Györ Ballet Theatre in 1983, and the premiere performance took place at the Szeged Open Air Festival of 1984. The dance play was composed and choreographed especially for the excellent Makuz Orchestra. In Markö’s concept, with my full agreement, the performance became an apotheosis of the 1956 revolution, which caused no little consternation among the censors. As a result, the play was banned for many years. The apotheosis comes at the end, when the massacred sons, having died a hero’s death, and returning into the spirit-arms of their mothers, turn into redeemed heavenly stags-as a vindication of the sacred spirit of 1956, and my own personal vindication. and are published together now on this occasion.